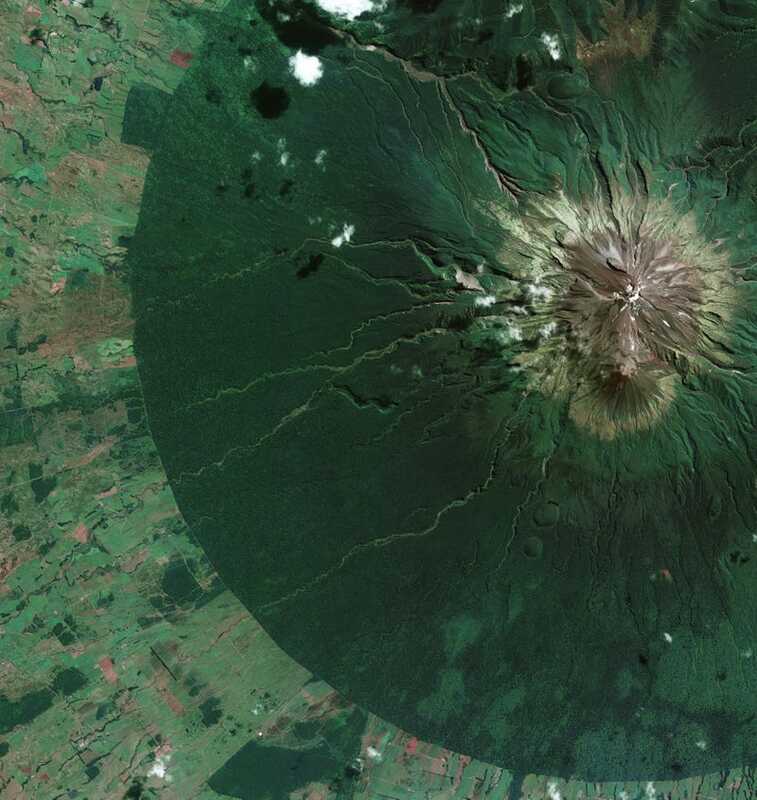 I love to zoom into pictures, especially spectacular ones like this one of the Egmont National Park, New Zealand, published by the European Space Agency. The clear circular boundary is actually the edge of the park, with the dormant volcano Mount Taranaki in the middle. It looks like a reverse crater of lush life. Click on expand and pinch or use your browser to zoom in. National parks protect forested areas from human activities that cause land degradation and deforestation. The boundary between protected and non-protected areas is often very clear in satellite images – as we see here between the green, densely forested area and surrounding agricultural landscape. The land here was first formally protected in 1881, within a 9.6 km radius of the mountain summit. With high rainfall and a mild coastal climate, the park is home to a lush rainforest, with some plants unique to the park. Halfway up the mountain slopes, the forest is sometimes called the 'Goblin Forest' for its gnarled trees and thick moss.